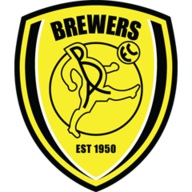 Burton stretched their lead at the top of the Sky Bet League 1 table to seven points with a scrappy 1-0 win at home to relegation strugglers Chesterfield. Midfielder Calum Butcher's fourth goal of the season separated the sides as Nigel Clough's men stole a march on their title rivals ahead of Saturday's games. 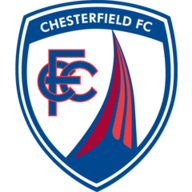 The first half was marred by an injury to Chesterfield's Liam O'Neil that resulted in a six-minute hold-up. The full-back was struck on the head by a fierce Stuart Beavon shot and had to be treated on the pitch by medical staff before being taken to the dressing room on a stretcher. Gboly Ariyibi fired inches over as the Spireites tried to prevent a fourth successive defeat, but only a deflection denied Mason Bennett a second goal for the hosts before Duffy was thwarted by Dion Donohue almost on the line.